Star Wars games have come in for a bit of a rough ride of late, with news of project cancellations and rocky releases in recent years. But this new Star Wars game sounds like it would smash the PS4, Xbox One or Nintendo Switch games charts. The only problem is that Star Wars: Outer Rim is a board game that won’t be going digital anytime soon. And it’s a shame too because the idea behind it sounds like it would make the perfect Star Wars video game adventure. Made by Fantasy Flight Games, Star Wars Outer Rim will be a Board Game focused on Bounty Hunters, Mercenaries, and Smugglers. It’s all about becoming the most famous scoundrels in the galaxy, while also building a crew of famous names. Players will be able to increase their fame by taking on dangerous jobs, completing bounty contracts, while also being able to upgrade their ship. Imagine a game where players could fly around like in Freelancer but with a Star Wars setting, and you can see how fans could get excited about such a project. While such a video game will probably never see the light of day, this board game sounds like it could be a lot of fun for Star Wars fans. Players will be able to recruit and face off against characters like Han Solo, Jyn Erso, Doctor Aphra, Lando Calrissian, and Boba Fett. However, while all characters come with their benefits, they can also bring bounty hunters onto your tail. It will be up to you whether to strike a deal or defend them to keep your crew at its best stats possible. That no one has attempted a big Star Wars spaceship game that could include some of these elements is a massive shame and something that would surely prove popular with fans. “Will you make a name for yourself by hunting bounties for the Hutts, stealing for the crime syndicates, or smuggling goods past Imperial patrols? All this and more is possible as you adventure through the outskirts of the known galaxy. 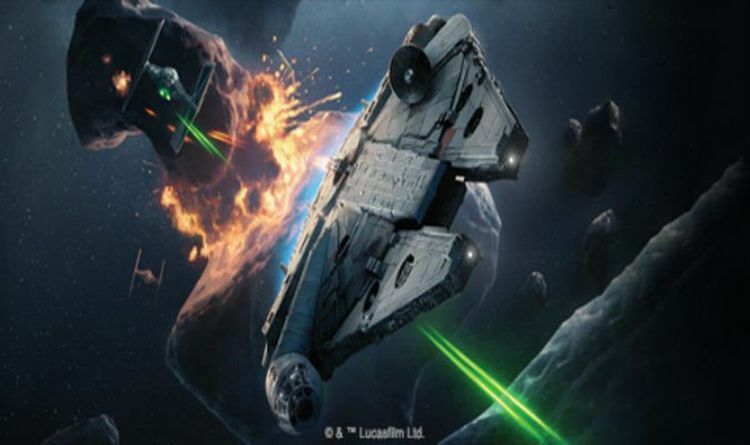 “A game of Outer Rim takes place over a series of turns that sees players taking dangerous jobs, tracking down bounties, upgrading their ship, and more, all in service of gaining more and more fame. “Regardless of the path you take to get there, the goal of Outer Rim is to gain ten fame, cementing your place in the legends of the Star Wars galaxy. “Gaining this fame can come from a variety of sources, such as completing your character’s personal goal, collecting on bounties and jobs, delivering illegal cargo, taking down patrols from the various factions struggling over the galaxy, and enjoying the finer things in life by purchasing luxury items with your hard-earned credits. “While the path to victory may be different for scoundrels finding their way in the Outer Rim, everyone starts from the bottom with a simple starship.